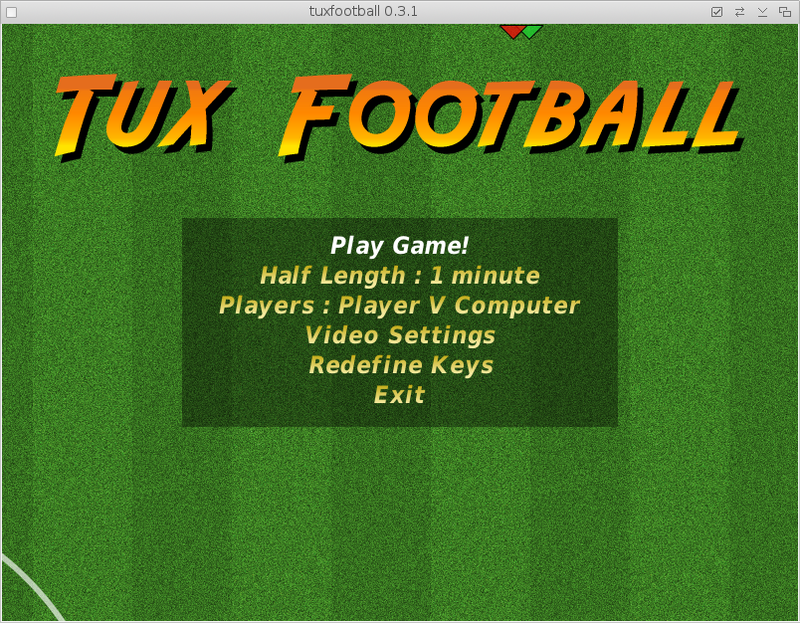 Tux Football is a 2D football game reminiscent of sensible soccer and Kick Off from days gone past. The player closest to the ball is the active player; after touch can be applied by pressing in a particular direction straigt after a kick. The power of a kick is determined by how long you hold down the kick button for.